Femininity, elegance and comfort, these are the three main characteristics that define a maxi dress. Because they are perfect for the warm season, it is recommended to choose a model made of a light, delicate fabric. 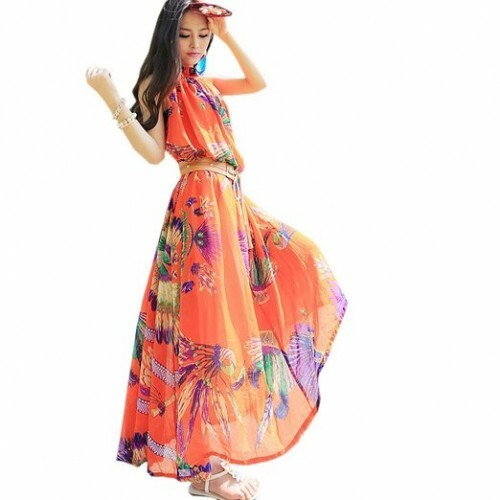 The maxi dress is wonderful due to its versatility. You can wear it on the beach, when having a walk in the evening, at shopping or when going out with your friends. It is definitely a piece of outfit that must be a part of your wardrobe. Pay the appropriate attention to the combinations and accessories you use and your look will be a successful one. If you want a very chic casual look, wear the maxi dress with a leather jacket.